Federal and Ventura County authorities arrested eight people Wednesday for operating a mortgage fraud scheme that made them significant money while causing bank losses of more than $11 million. Investigators with the Ventura County District Attorney’s office discovered that members of the scheme generated dozens of mortgage loans for unqualified borrowers who were primarily lower-income Spanish-speaking individuals and turned the information over to the FBI. 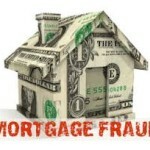 A Grand Jury indictment details the scheme led by Camarillo resident Jose Garcia and run out of an Oxnard-based company called New Concepts Home Loans (NCHL), where members of the alleged conspiracy prepared mortgage applications that contained false information about borrowers’ income, employment and assets. As part of the scheme, Jose Garcia’s wife and others obtained bogus “CPA letters” from tax preparers that falsely stated the mortgage applicants were engaged in a particular business. As part of the mortgage application process, the defendants in these cases generated huge commissions and fees – typically at least $10,000 per mortgage. Lender who suffered losses as a result of the alleged scheme include Washington Mutual Bank, Wells Fargo Bank, Countrywide Bank, IndyMac Bank, SunTrust Bank, World Savings Bank and JPMorgan Chase Bank. • Cesar Rodriguez Azamar, 36, of Santa Paula, an employee of NCHL. All of the defendants in this case face a statutory maximum sentence of 30 years in prison if they are convicted of the conspiracy count in the indictment. Statutory Maximum? Shouldn’t there be a statutory minimum? Obviously they didn’t pay off the judicial system like the bigger banks did when they swindled mortgages from people. Oh well, only big money survives to line the pockets of the public servants once again. Sounds like business as usual around here in SLO. I wonder if we will ever get a list of names of the culprits that ripped this county off. We have Miller and Gearhart. Now how about the names of the people at Heritage Oaks Bank who approved the loans and not necessarily whoever the scapegoat may be who signed off on them. And then we have Cuesta Title Company and their owners and employees. This all ads up to a pretty well organized crime spree to me. Maye we are getting closer to a conclusion with all of these plea bargains and arrests. Eventually the truth will come out and hopefully the guilty will pay their price. The more people actually learn about how money comes about, banking and the finance sector in general, the more one will see it’s been a rigged scam for hundreds of years. So next the banks and bankers will be arrested for their fraud and theft?…. yeah right!! The banks don’t like it when others try to cut in on their action!